20 - 1959 Ten Centavos Uncirculated Coins and 260 - 1960 Twenty Centavos Uncirculated Coins. 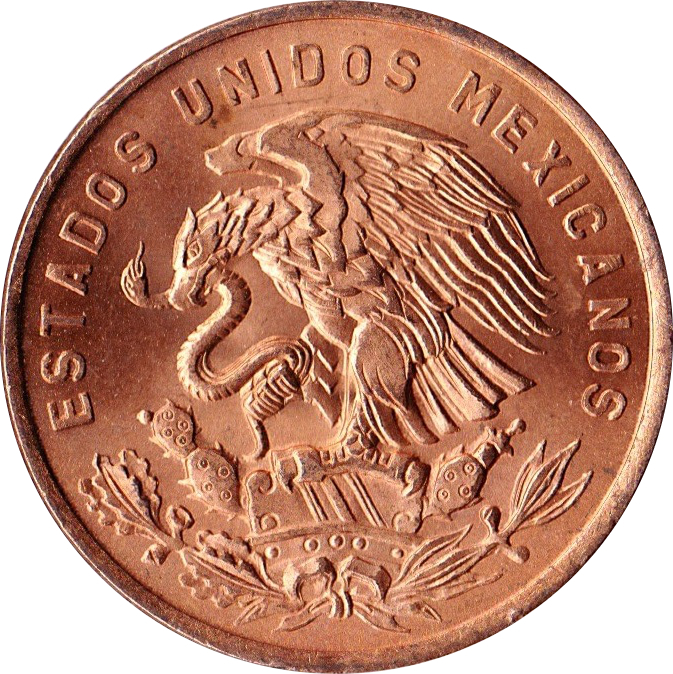 Total: 280 Uncirculated Mexican Centavos! 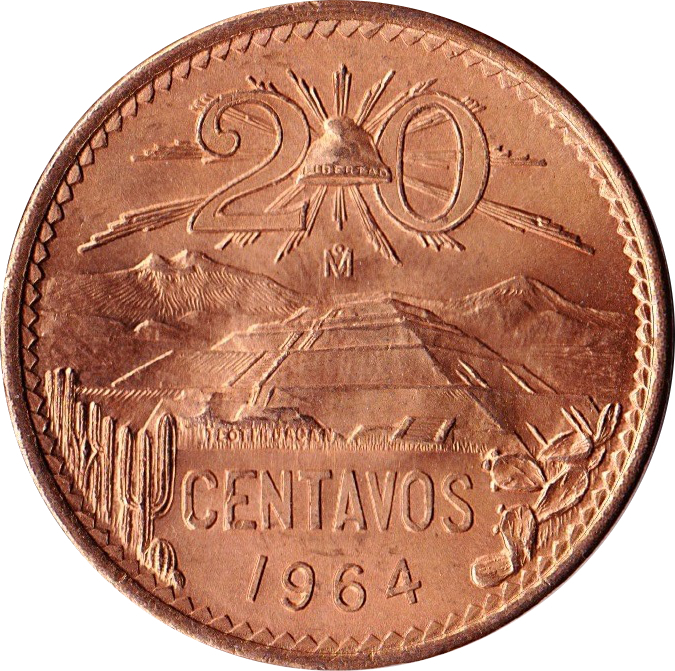 Total: 280 Uncirculated Mexican Centavos! 2016 Numismatic World Coin Books put these coins worth at between $1 - $2.00 ea. Coat of arms; with bigger emblem which takes up most of the space. And lettering at top, supported at bottom by wreath. Value at top with radiant Liberty cap in between. Mint mark under cap. Pyramid as center motive along with landscape; volcanoes and flora. With value unit and date at bottom. Teotihuacán (where the pyramid is located) written at pyramid's base.